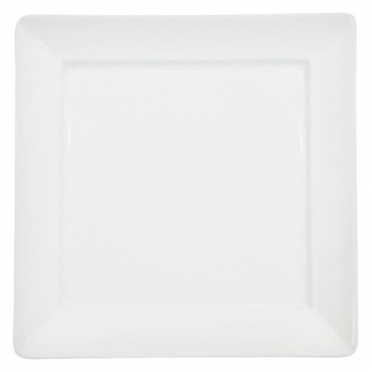 A unique way to dress up your table is with a ceramic square platter. This shape will offset round pieces and will create an interesting vibe at any formal event. The ceramic material is extremely durable, and the white color will work perfectly for wedding receptions, office banquets, and similar gatherings. The various size options allow you to choose a smaller piece for an individual setting or a charger, and the larger items can be used to display food on a buffet line.